Animal I Have Become. Animal I have Become. 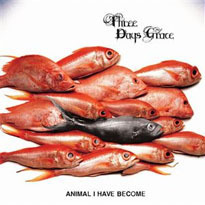 Wallpaper and background images in the tatlong araw palugit club tagged: three days grace animal i have become. This tatlong araw palugit photo contains atlantic herring, Clupea harengus harengus, pacific sardinas, sardinops caerulea, herring, and Clupea harangus. There might also be sa pamamagitan ng catch, bycatch, and pagtunaw. <3 this album, and pic! !